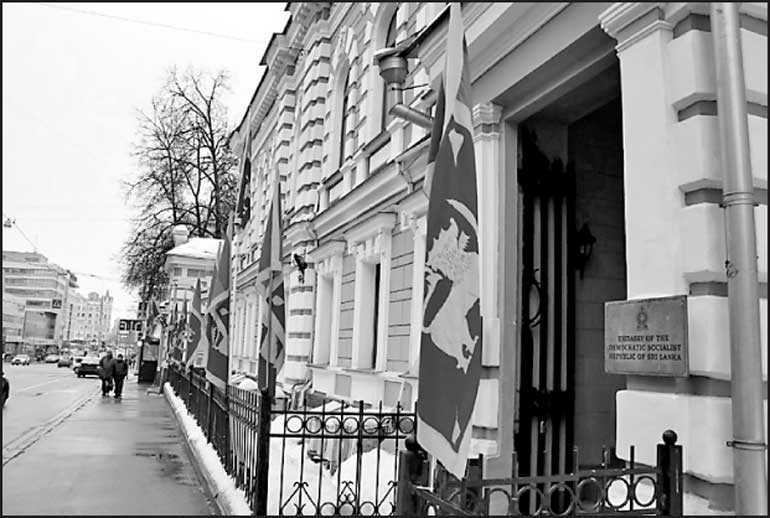 On 4 February, the Embassy of Sri Lanka in the Russian Federation organised a ceremony in commemoration of the 71st Independence Day of Sri Lanka. The official ceremony began with hoisting of the National Flag and singing of the National Anthem in Sinhala and Tamil. Multi-faith religious observances were conducted by the religious clergy, representing Buddhism, Hinduism, Islam, and Christianity. Following the observances at which those who sacrificed their lives for the sake of independence, peace, and prosperity of Sri Lanka were remembered, Ambassador Extraordinary and Plenipotentiary of Sri Lanka to Russia Dr. Dayan Jayatilleka read out the Independence Day Message of President Maithripala Sirisena in Sinhala. The Independence Day Messages of the Prime Minister and Minister of Foreign Affairs were read out by Defence Attaché of the Embassy Group Captain Channa Dissanayake and First Secretary of the Embassy Dulmith Waruna, in Sinhala. The messages were also read out in Tamil, English, and Russian languages. After the official part of the event had been concluded, traditional Sri Lankan refreshments were served to the gathering.